J. R. R. Tolkien in Kings Heath. In 1895 a young mother returned to Kings Heath from Bloemfontein in southern Africa with her two sons Ronald and Hilary. She was Mabel Tolkien and Ronald we better know as J. R. R. Tolkien the author. She returned to her parents home in Ashfield Road having left in 1891 to travel to southern Africa to marry Arthur Tolkien who was working in banking in Bloemfontein. 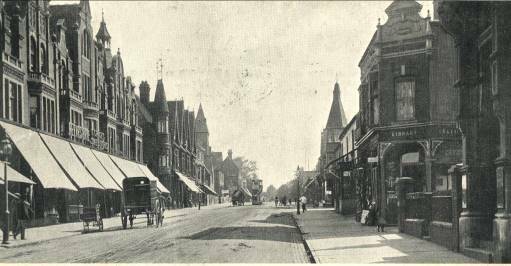 Kings Heath back then was a booming suburb of Birmingham but not part of the city till 1911 and the High Street would have been busy with all forms of horse drawn wagons, carts and traps. 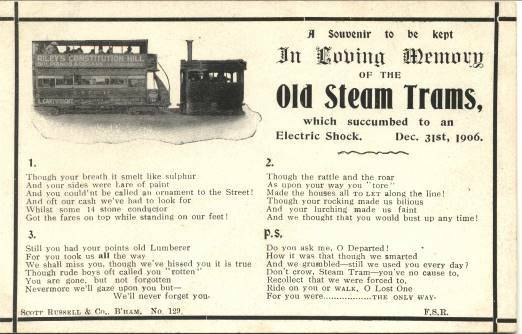 But ploughing up the middle of the High Street was a steaming monster in the form of a steam tram, the remains of the tram depot is still in Silver Street today in the form of the International Stock building. Building work had also started on the building of the Grange Estate in Kings Heath that was made up of Station, Grange, Waterloo, Westfield, Highbury, York and South Roads. So wagons loaded with bricks, slates and timber would have been adding to the traffic on the High Street as they made their way to and from the many building sites. In 1896 Mabel received news that Arthur had died in southern Africa and decided not to return but to remain in the area and bring the boys up her - self. Later that year they moved to the little hamlet of Sarehole, which was not part of Birmingham back then. They stayed there for about 4 years and then moved to Moseley for a short period of time and returned to Kings Heath in 1901. They rented a house in Westfield Road on the then new Grange Estate, the reason for moving was that Mabel had become a Roman Catholic and a catholic church had opened on the corner of Station Road and Westfield Road in 1896. The house backs onto the Midland Railway line running between Birmingham and Gloucester and had stunning views across farmland. The farmland was in fact the farm that was part of the Highbury estate and produced some of the food for the house. 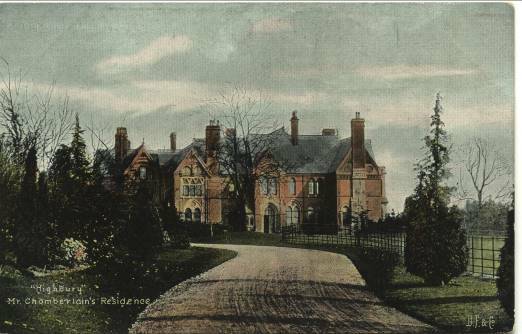 The view across the fields would have been of the two large mansions, Highbury the home of Joseph Chamberlain and Uffculme the home of the late Richard Cadbury. A view of Highbury along the now lost front drive. The brothers must have marvelled at this view on a sunny day because both houses had massive ranges of glasshouses that must have shone and sparkled in the sunlight. The residents in Station Road who had views across the fields of these two mansions paid a higher rent for the privilege and maybe this also happened to the resident in Westfield Road. The farmland and pleasure grounds for Highbury has now become Highbury Park and its very hard to make the two mansions out today because many trees now block the view. But Tolkien would have liked that, as he was a big fan of trees and woodlands. 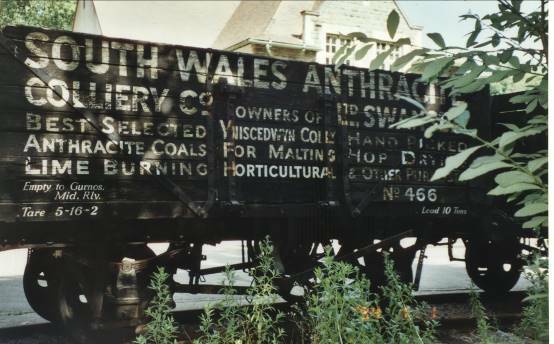 An old coal wagon from South Wales. Back in those days coal was king and huge amounts of coal were delivered to the local station just up the line from the house. In the goods yard there were coal trucks with strange sounding names on their sides and these had come from Wales and the names were the collieries that the trucks had come from. The discovery of the Welsh language was to be an influence on Ronalds later writing in such books as the Hobbit and The Lord of the Rings. The Tolkien family moved across the city to Edgbaston after about a year but Kings Heath had played a small part in the development of Tolkiens fictional world. This would lead him in later life to the creation of Middle Earth, as did many other places in and around Birmingham. First published in Carl Chinns Brummagen, No 51, June 2005 and later in Amon Hen 204, 2007.